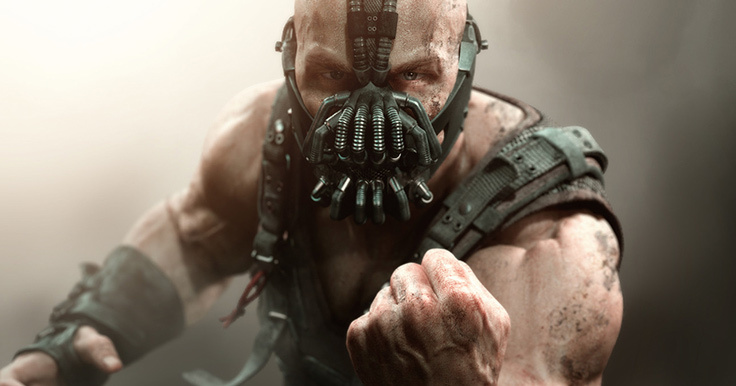 Bane #1 - "The Dark Knight Rises"
by: Per Haagensen Project: "The Dark Knight Rises" style guide Client: Warner Bros. Bane character artwork for "The Dark Knight Rises". Sculpted and textured using Zbrush and Lightwave, rendered in Lightwave. Background and post work done in Photoshop. Bane #2 - "The Dark Knight Rises"
by: Per Haagensen Project: "The Dark Knight Rises" style guide Client: Warner Bros. Bane character artwork for "The Dark Knight Rises". Sculpted and textured using Zbrush and Lightwave, rendered in Lightwave. Background matte painting and post work done in Photoshop. by: Per Haagensen Project: "The Dark Knight Rises" style guide Client: Warner Bros. Batman character artwork for "The Dark Knight Rises". Sculpted and textured using Zbrush and Lightwave, rendered in Lightwave. Background matte painting and post work done in Photoshop. Batman #3 - The Batpod Ride - "The Dark Knight Rises"
Batman #5 - "The Dark Knight Rises"
Catwoman #1 - "The Dark Knight Rises"
by: Per Haagensen Project: "The Dark Knight Rises" style guide Client: Warner Bros. Catwoman character artwork for "The Dark Knight Rises". Sculpted and textured using Zbrush and Lightwave, rendered in Lightwave. Background matte painting and post work done in Photoshop. Catwoman #2 - "The Dark Knight Rises"
by: Per Haagensen Project: "The Dark Knight Rises" style guide Client: Warner Bros. Catwoman character artwork for "The Dark Knight Rises". Sculpted and textured using Zbrush and Lightwave, rendered in Lightwave. Background and post work done in Photoshop. by: Per Haagensen Project: "Mirror's Edge: Catalyst" Client: EA DICE Date: 2015 Art Director: Jhony Ljungstedt Main keyart / boxart for the multi-platform videogame "Mirror's Edge: Catalyst". I was responsible for creating the character and aircrafts - using Zbrush, Keyshot and Photoshop. For the head I referenced the excellent in-game head sculpture done in collaboration with the character artists at DICE (Linus Hamilton in particular), and a 3d headscan done inhouse of a photomodel doing the expression. Props also to Liza Shulyayeva for performing the pose, providing me with great photo reference. Background city done by concept artists Nick Leavy (city modeler / architect) and Robert Sammelin (city detail pass, matte painting and compositor). by: Per Haagensen Project: "Mirror's Edge: Catalyst" Client: EA DICE Art Director: Jhony Ljungstedt Keyart for the multi-platform videogame "Mirror's Edge: Catalyst”. by: Per Haagensen Project: "Green Lantern" style guide Client: Warner Bros. Artwork for the "Green Lantern" film style guide. Get ready to be blown away by Per Haagensen, a Senior Concept Artist currently at EA DICE. His portfolio was recently featured on Artstation and blew us away. Per uses a blend of digital scuplting and texturing using Zbrush and Lightwave, with all of his post work finalized in Photoshop. Here is a bit from his most recent interview. Via Artstation. I have quite fond memories of my first project here at DICE, “Mirror’s Edge: Catalyst”, which got me introduced to my awesome and talented colleagues. It really became quite an insightful journey of learning and exploration. The Art Director, Jhony Ljungstedt, not only inspired and supported me throughout, but gave me truly invaluable advice in terms of how to approach and resolve concept design. As a big fan of sci-fi, the style and tone of his art direction really inspired me to dig deep into the design language of this dystopian near-future world. 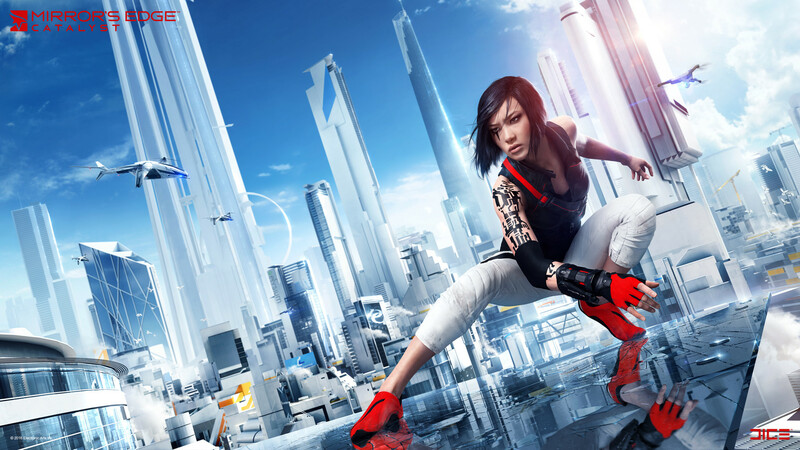 Main keyart / boxart for the multi-platform videogame “Mirror’s Edge: Catalyst”. I was responsible for creating the character and aircrafts – using Zbrush, Keyshot and Photoshop. Focusing mainly on character design from the go, I had great fun collaborating with the Narrative Director, Christopher Emgård, who would provide me with vivid backstories/bios for each character. This really helped me and the AD in finding the unique traits to define them. We would continue to refine them with the character team when choosing face models for 3d scanning, and ultimately with the animation team, when selecting the specific actors for voice and motion capture. Truly an exhilarating process seeing all the hard work from so many different areas of talent coming to life in the game, starting with just words and a few sketches. How did you get started working professionally as an artist? While in the UK studying for my BFA degree in Illustration, during the final year one of my lecturers actually got me in touch with an American agency, Shannon Associates, as he thought the style of my work would be suitable for the American market. They got me started pretty much straight away with some Magazine work, which was great for the experience – but as my intent was to get into concept art, I kept a vigilant watch online for any job openings from nearby companies. And as luck would have it, Funcom in Norway were looking for a concept artist not long after and my adventure in this industry began with a game called “Age of Conan: Hyborian Adventures”. 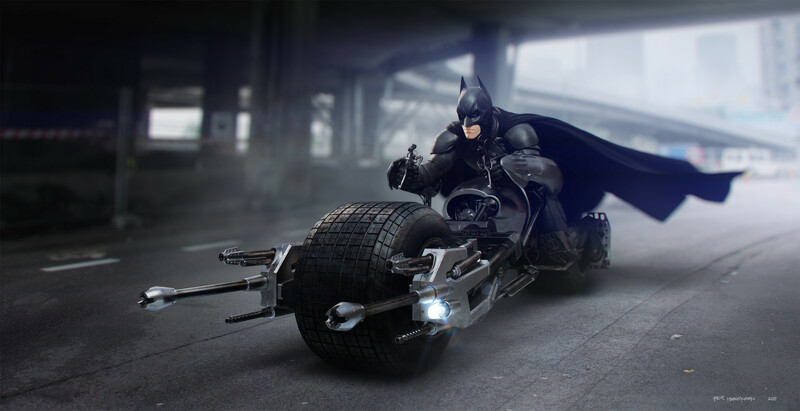 Batman character artwork for “The Dark Knight Rises”. Sculpted and textured using Zbrush and Lightwave, rendered in Lightwave. Background matte painting and post work done in Photoshop. What kind of advice do you have for aspiring artists? I guess I’ll harp a bit more on how paramount the need to take the time to master the fundamentals is. Don’t jump into shortcuts and tricks right away. Be patient and learn to paint/sculpt something from scratch before using photo/kit bashing techniques.